It has been estimated that a human life is worth at least 6.9 million dollars. 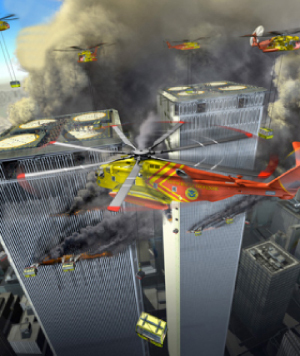 Now that the secret is out…that firefighters are not capable of extinguishing a fire in the upper floors of a major skyscraper or rescuing people trapped above the fire, as illustrated on 9/11…the insurance industry must examine the risk associated with insuring each and every skyscraper. And that’s where we come in. Our goal is to assist insurance companies worldwide in evaluating the risk and determine a solution to reduce that risk.